We've implemented an interesting feature for our melee weapons called "hit rays" to improve their attack range and accuracy against targets. Currently, melee is very difficult to use against multiple targets. We hope this new feature makes combat against multiple targets more viable. We're back with a quick dev diary to introduce you a work in progress feature for melee combat. This new feature will be applied to every melee weapon and will be available in our upcoming third patch for our unstable beta branch. We've been quite busy with the next v3.1 update preparing for a public beta release, which includes many game balance changes, adjustments and tweaks for both teams. 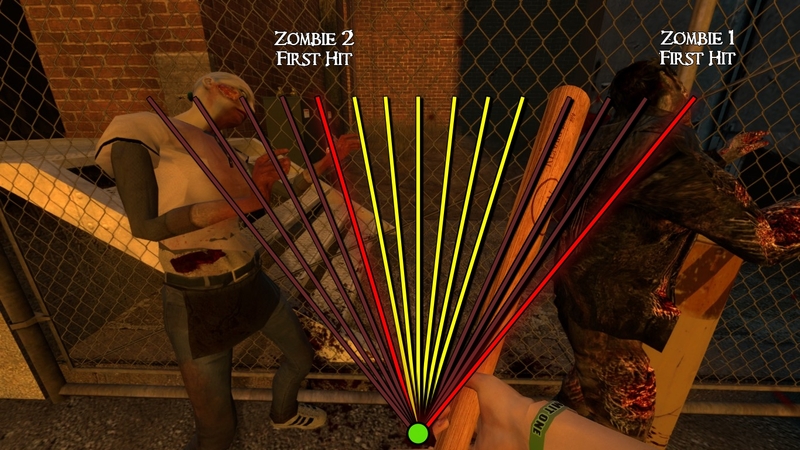 Each swing will create an arc of line tracers in the player's FOV according to the melee's range. Every melee will soon have its own arc size, where it fires from the eyes angles and goes from right to left. You will not be able to 360°swing hit. 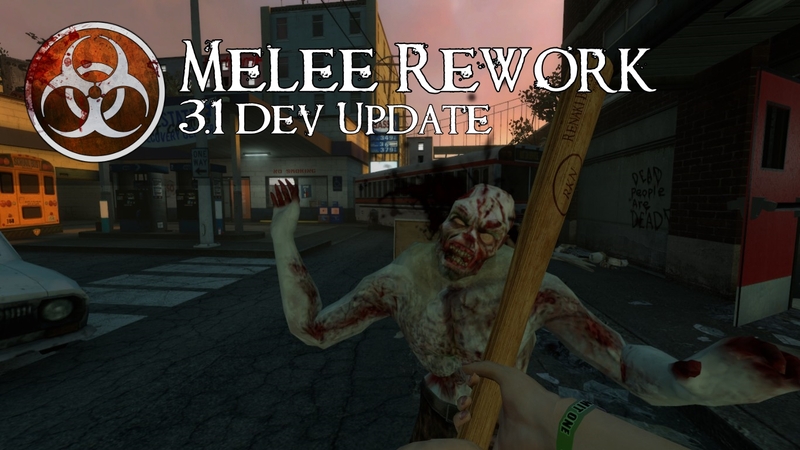 In the future, we'll be looking to tweak our melee weapons even more in order to improve them. As always, we greatly appreciate hearing your feedback! A reminder that we applied a minor Steam client change to the Steam Cloud settings for all Zombie Panic! Source users a couple of months ago. Your cfg/config.cfg file and your Game Instructor (3.1 Beta only) tips that you've seen already should now be saved and properly synced into your Steam Cloud. This doesn't require any update on your side. We did create a mega F.A.Q article containing information and the history of our past 2.4 development, what happened with the forgotten "2.5 version" and what sacrifices had to be made to launch v3.0 back in 2017. We want to be transparent about this topic with the community as to how many questions weren't answered years ago about it. Consider sparing some time to read it whenever you can. Feel free to ask further questions. 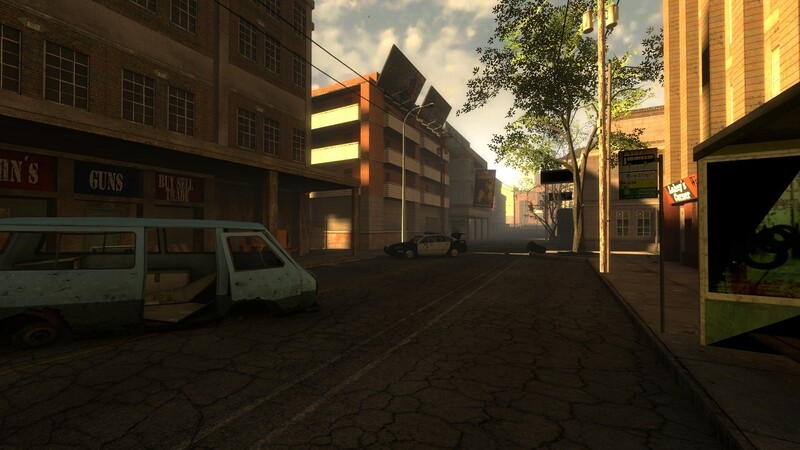 Finally, our goal is to give final touches and fixes to the next unstable update as quick as possible. There is an internal discussion of an important topic that must be addressed first before we ship this patch out. 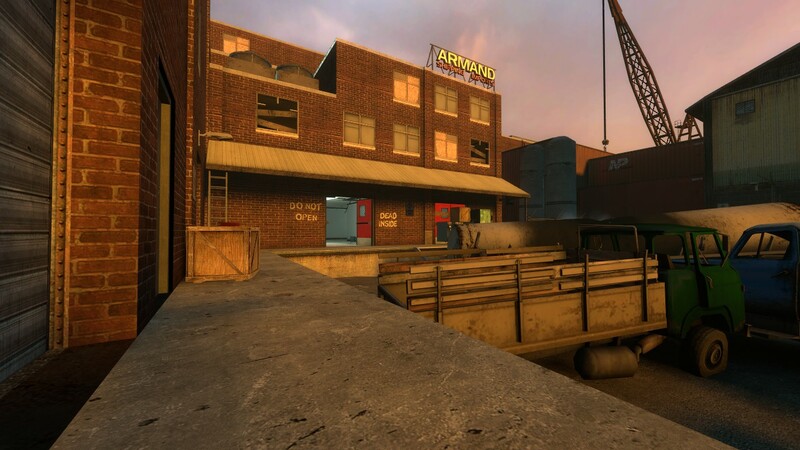 Once we're done, the third patch will be out really soon for public testing along with its many improvements. More detailed information will be shared in the next month-ish! We understand this long wait can be frustrating for some and hope you all continue sticking with us until the end! Thank you for your patience! This is great work. I love seeing what you guys are up to. Keep it up! Finally. Been needing this for a long time.